You may have noticed it's been quite a while since I last popped up with a new blog post! It's been a hectic year so far (how is it April already?!) which has left little spare time for blogging and if I'm completely honest, the inspiration to write just wasn't there for a while either. I'm excited to be back now and I thought the perfect post to ease back into the swing of things would be my final thoughts on some of the beauty products I've used up recently! 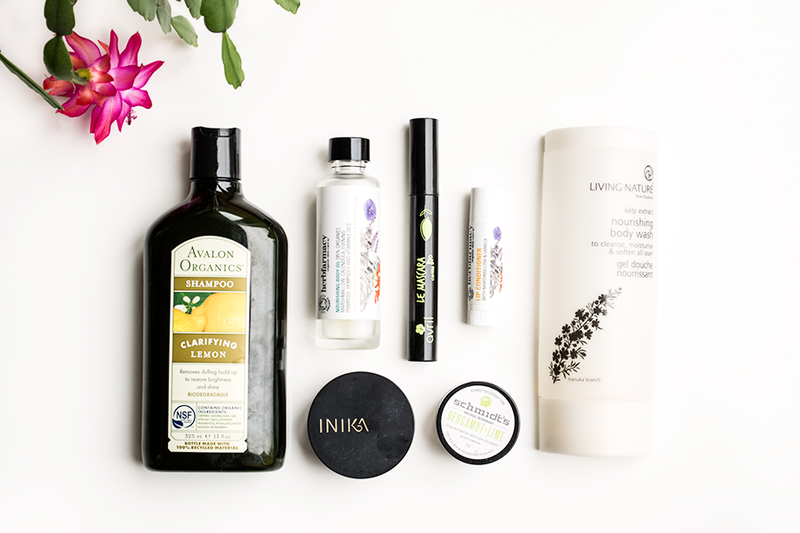 A clarifying shampoo is an essential for me and one of my favourites is the Avalon Organics Clarifying Lemon Shampoo. It's really effective at getting rid of product build-up and always leaves my hair feeling super clean, but (crucially) it doesn't dry my hair out either! This was my second bottle of this affordable shampoo and I've already picked up another too. A few months ago I reviewed a lovely selection of products from British organic skincare brand Herbfarmacy and their Nourishing Body Oil and Lip Conditioner* (reviewed here) will be very much missed from my beauty stash. Both of these were perfect for hydration over the winter months, as well as the Living Nature Nourishing Body Wash* (reviewed here) and I'd be tempted to repurchase all of them next winter since they work so well! Schmidt's Bergamot + Lime Deodorant (reviewed here) is one of the most effective natural deodorants I've tried, but I stick to using a travel size only occasionally as it can be a bit irritating for daily use. I have another mini pot ready and waiting for when the weather finally warms up a bit! I also have a couple of makeup products that are almost finished. I've had the Avril Mascara* open for about 4 months now and, although the packaging says it can keep for 6 months, it's starting to get dried out so I'll be moving on to another mascara. I do really like this one, though - it gives a great amount of both length and volume and I love that it's budget friendly too! Last but not least is my trusty favourite Inika Mineral Foundation (reviewed here). This will be a definite repurchase at some point but (as much as I love it!) I'm tempted to try something different next too, so I would love to hear what's your favourite mineral foundation? Have you tried any of these products or brands before?